It is pretty obvious that I am a fan of free and cheap ways to play video games, so it should come as no surprise that I am interested in browser based games. 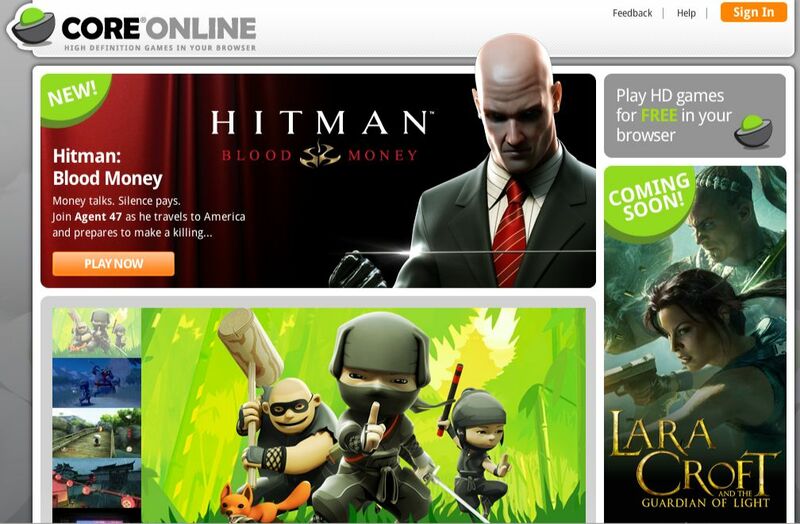 Square-Enix (makers of Final Fantasy series, and probably other stuff but nobody really cares) has launched the Core Online service, a browser based system that lets you play games like Hitman: Blood Money and Mini Ninjas for absolutely nada dollars, the only catch being you have to watch ads to earn play time inside the game. Watching longer ads give you more time to play the game, or if you have actual money to throw around you can choose to buy levels or entire games to play. The selection of games is it a bit shoddy right now, but hopefully we will see more major Square-Enix properties arriving soon. I would jump on the chance to go back and play some Final Fantasy 7 or 8, even if I have to watch a bunch of Taco Bell ads to do it. The service is still in Beta stage, but shuffle yourself on over to their website to check them out.